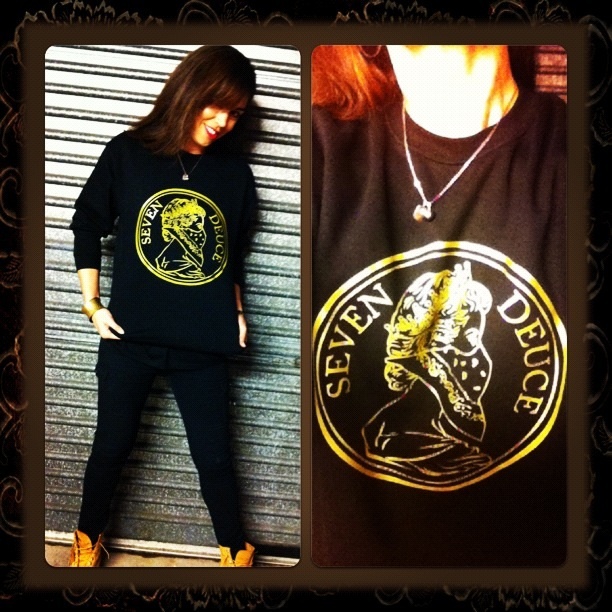 I’m really liking the Seven Deuce Clothing tee designs. 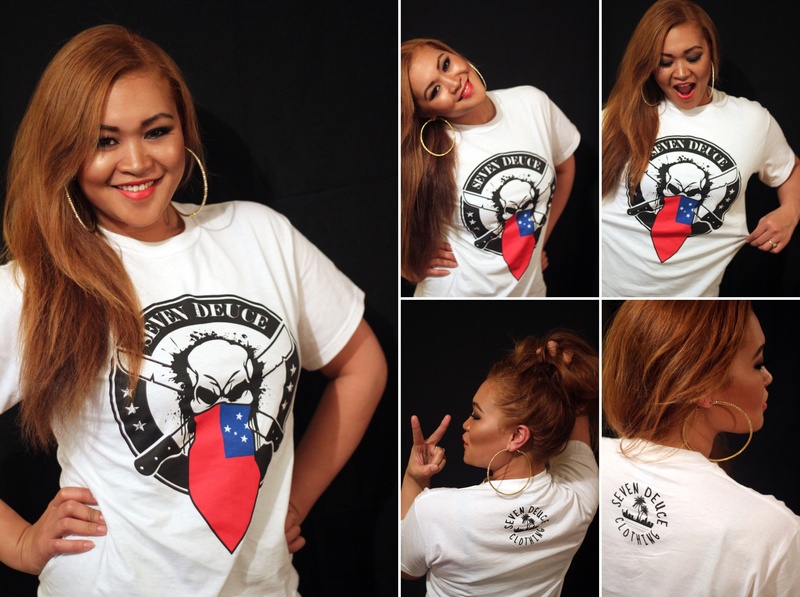 I bought myself the Skulls & Sapelu tee as modelled by the lovely Vanu Maoate below. I also just received my Seven Deuce Clothing limited edition black & gold crew neck “Queenie” sweater and I’ve literally lived in it since I got it. The Seven Deuce guys described the sweater as ‘toastie warm’ and yup!!! It so is! I reckon it goes with my timbs too – vedddy good! 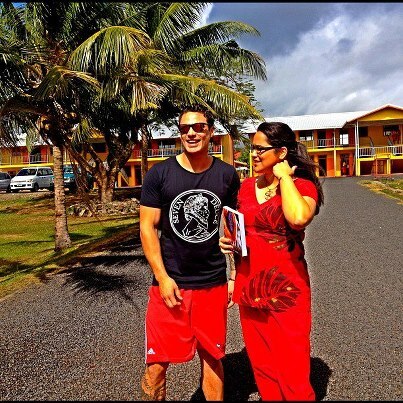 Even the bro Ezra Taylor – the face/body of Telesa is rocking the Seven Deuce Clothing ‘Queenie’ tee – check him out here with Lani Wendt Young in Samoa on their Telesa 2 book promo. Oosh! 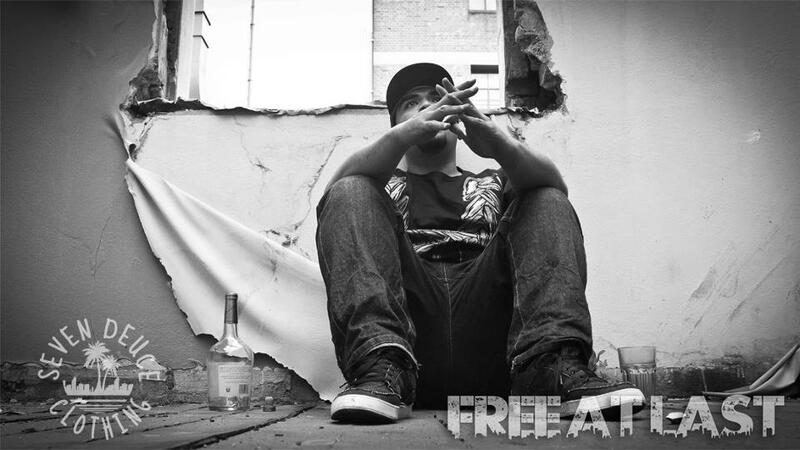 And I see Mareko’s sponsored by Seven Deuce Clothing in his latest video shoot for an upcoming release ‘Free at Last (Dreaming)’ Cool! Haven’t heard from this guy in a while – looking forward to some new Mareko!